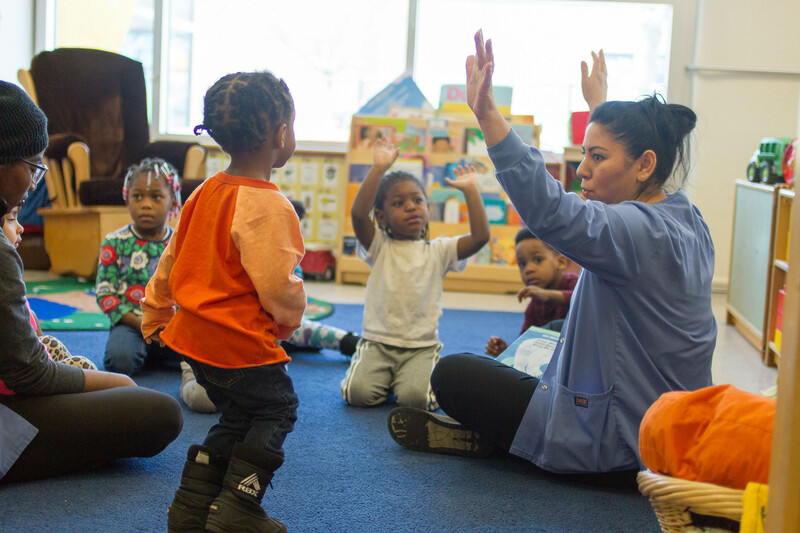 Researchers, experts, and policy-makers agree that we must invest in early childhood education to ensure a strong workforce, robust economy, and safe communities in the future. 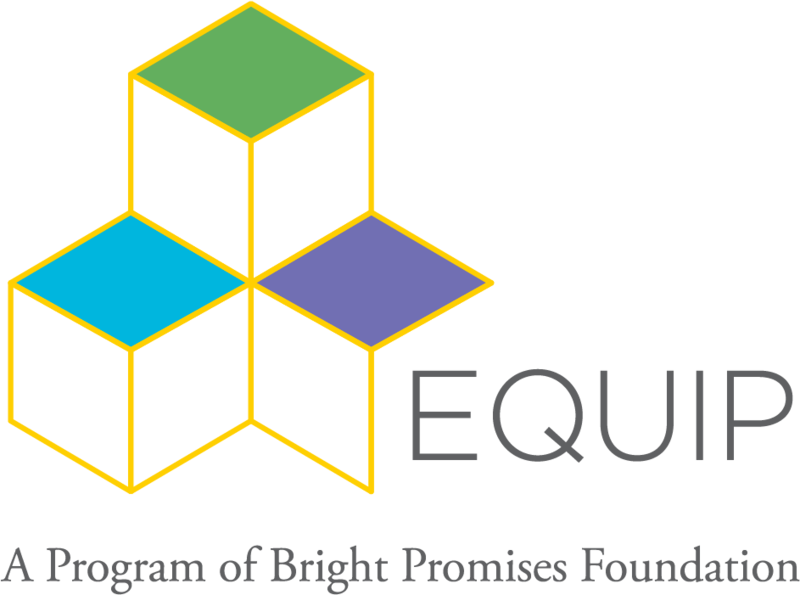 Through the Early Childhood Education Quality Improvement Program (EQUIP), Bright Promises Foundation helps early childhood centers implement and sustain meaningful changes to improve the quality of services they provide to young children and their families. Currently, Bright Promises Foundation provides multi-year support to 10 early childhood agencies delivering programs to more than 27 sites and positively impacting the lives of hundreds of more than 2,300 low-income families and their children between the ages of 0 - 5 through EQUIP. "Extraordinary development occurs from birth to age 5, forming the bedrock for lifelong health, intellectual ability, emotional well-being, and social functioning. 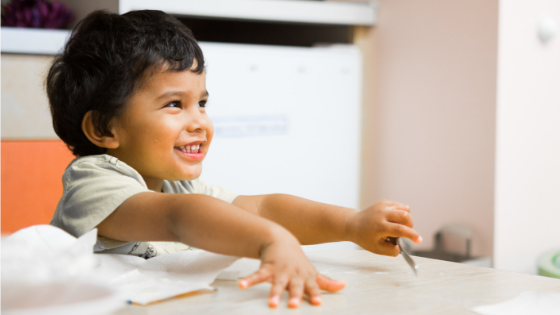 A broad set of socially and economically valuable skills start developing in children’s very first months, build over time,and are critical determinants of academic and economic success. Although a sturdy base of early skill and ability is not alone sufficient for children’slong-term success, without it, the effectiveness of later investments in education and training are substantially reduced. EQUIP exemplifies Bright Promises unique approach to building organization's capacity to create lasting change. Our funding helps organization's build expertise in a diverse range of areas related to quality early childhood education, including teacher training, classroom environments, parent engagement, and trauma-informed care, which leads to sustained quality improvement for low-income children who need support to achieve their full promise and potential. To ensure the EQUIP program creates sustainable change, EQUIP is evaluated by an expert team who measure outcomes and collect feedback from service providers and program participants. This helps Bright Promises understand what works (and what doesn’t) so that we can adapt and effectively respond to the needs and recommendations of our program partners. 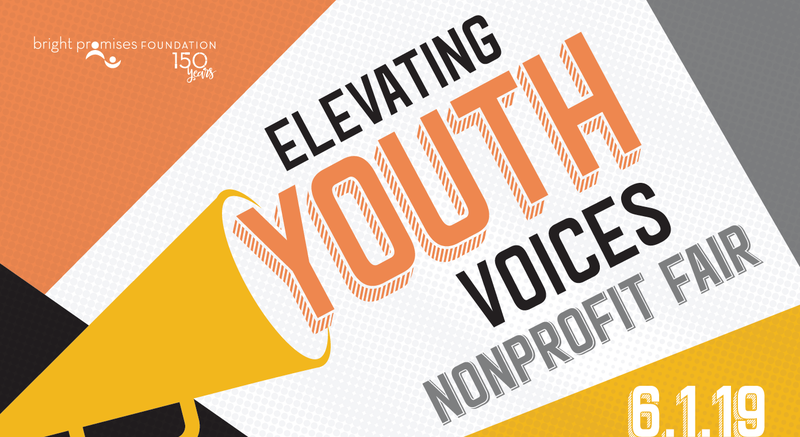 In a recent evaluation, 100% of organizations reported that with Bright Promises funding and support the quality improvements implemented through their EQUIP grant are now embedded in their agency’s culture. 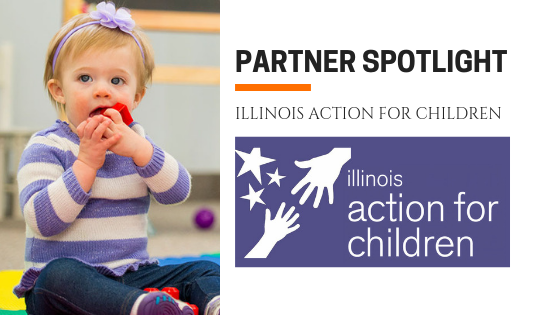 Even with increasing awareness about the importance of quality early childhood education, very few funding opportunities exist in Illinois for early childhood agencies serving low-income children specifically for quality improvement. According to one program partner, "We have been talking about this specific project for seven years. It took us this long to do it. When we received the EQUIP grant, we finally had the money we needed to bring the expertise in house to help us. This is exactly the kind of money that is so hard to get and it is exactly the work we need to do." 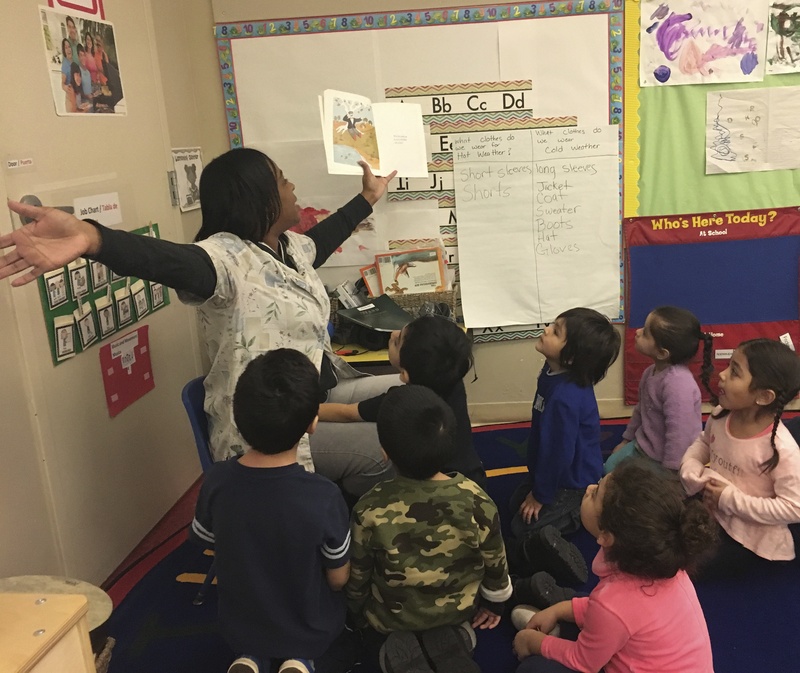 Teachers make the story come to life when reading with early learners at Onward House, a current EQUIP partner. 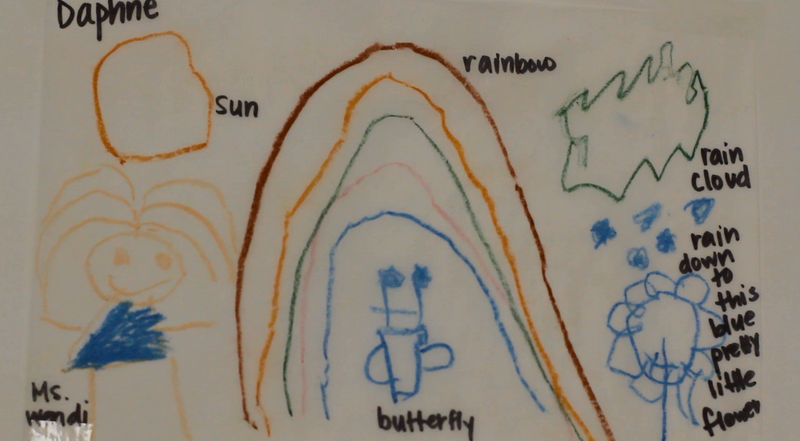 HANA Early Childhood Center: HANA used EQUIP funding to create a classroom lending library. Although seemingly simple, this program’s intent is to ensure that each client's household has age-appropriate print materials for children toaccess. In addition, teachers will assist parents (many who are non-native English speakers) on how to engage their children in reading at home. Chicago Child Care Society: CCCS’s leadership and staff recognized that anincreasing number of families seeking services have experienced multiple levelsof trauma, including community violence. This grant will train teachers toidentify children who are suffering from current or past trauma, how to communicat ewith their parents, and how to address secondary trauma that they, themselves,may experience working with their clients. In addition to CCCS’s enhanced trauma work with clients, their consultant will work with staff to improve the agency’s internal policies, procedures, and referrals around children and families experiencing trauma. Children's Home & Aid: Children's Home & Aid used EQUIP funding to build an emotion-centered environment in their facilities by purchasing cubes for children to crawl into when feeling emotionally overwhelmed and creating softer spaces with pillows and soft furniture. Casa Central: Casa Central discovered through EQUIP funding that conducting reflective sessions between parent educators was incredibly helpful and has scaled the practice in their continuous quality improvement (CQI) work. Bright Promises Foundation looks forward to continuing to invest in quality early childhood education for all children in Illinois this year. Applications for the 2019-2020 EQUIP grant cycle will open June 2019.